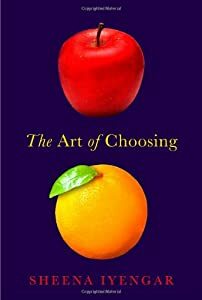 Cover of The Art of Choosing. A really interesting book. Definitely consider giving it a read. My sister often tells our her girls that life is a series of choices and their consequences: good choices lead to good consequences, and bad choices lead to bad consequences. While they are little, those connecting lines are easy to draw. They choose to obey or disobey, and the outcomes are positive or negative, accordingly. And because life is life, they are also learning – and they will learn it more and more with time – that it’s not always so direct a correlation. That sometimes making the right choice means a consequence that doesn’t look all that good from the limited short-term view. That sometimes the only perspective big enough to see the good outcome is that of God and eternity. If our choices reflect ourselves, is it one-directional? Will we always choose in a certain way because that is who we are? Is it bidirectional? Can we choose differently and thereby become someone else? I don’t have an answer to that, in much the same way that I don’t have a clear line in my head between how God’s action in my life interplays with free will. I am fearfully and wonderfully made, transformed by grace, and lack the ability to even draw breath apart from the will of God. And yet, and yet… I must have been given an element of choice, if I am to choose this day whom I will serve. I wonder. If I am set free in Christ, a new creation… how much do I simply choose to be less than I could be? If I spent more time telling myself the truth of my transformation, what might my life look like? If/when the infatuation-high next floods my system, could I write another storyline – one in which I can ride that wave of seratonin for as long as it lasts, rather than freaking out like I’m on a bad trip (and becoming temporarily but totally undateable)? Maybe. All things are possible. We are more than conquerors. What do you tell yourself? When you look hard at it… how true is it? I’m glad you enjoyed it… thanks for stopping by!